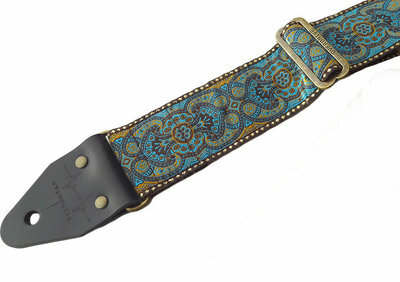 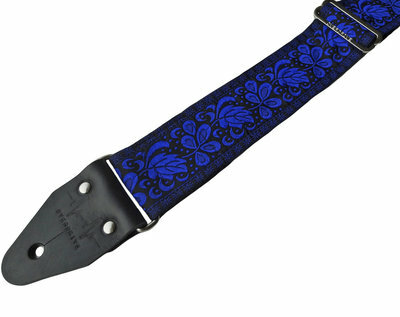 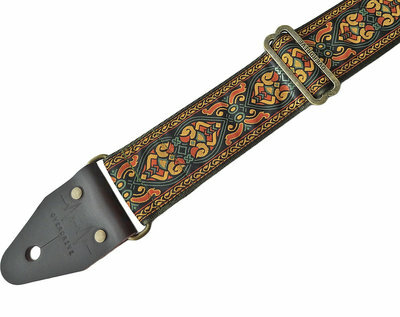 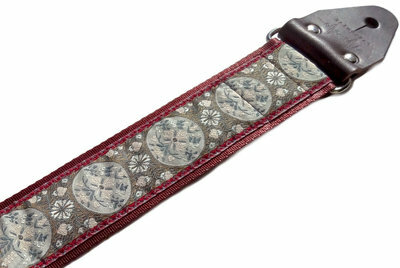 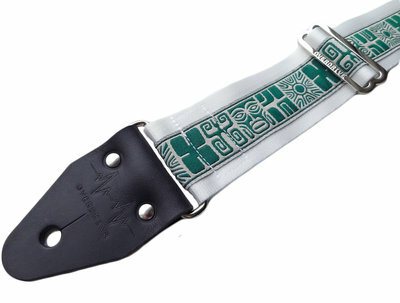 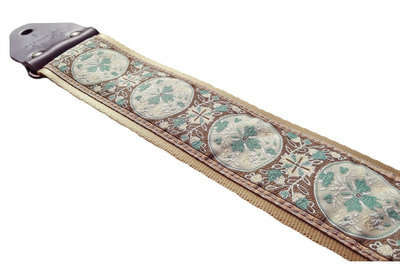 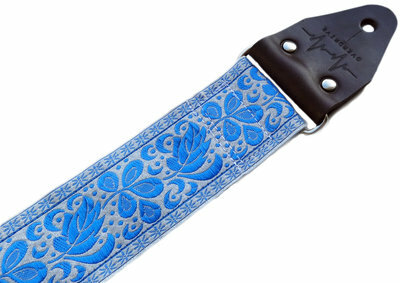 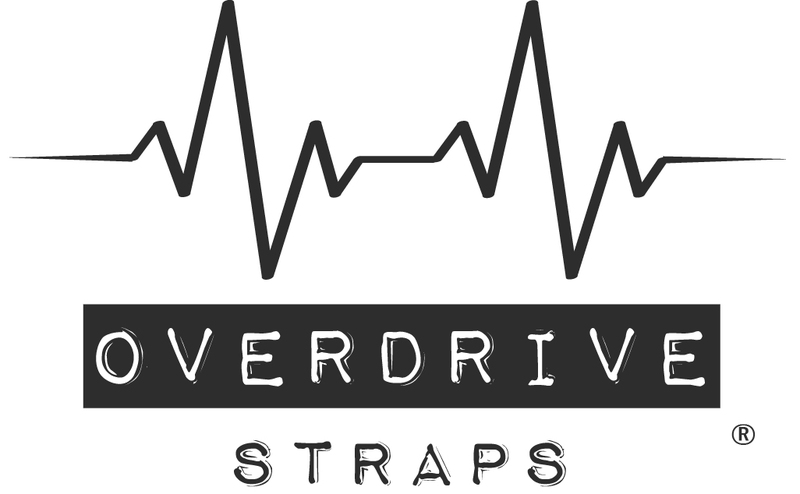 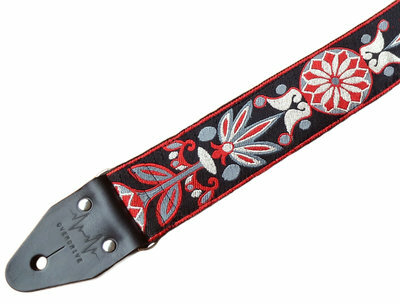 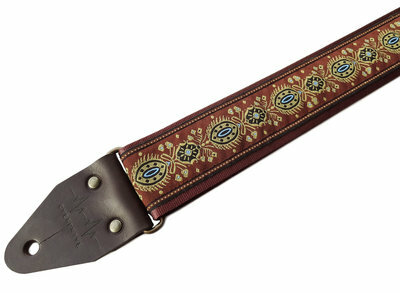 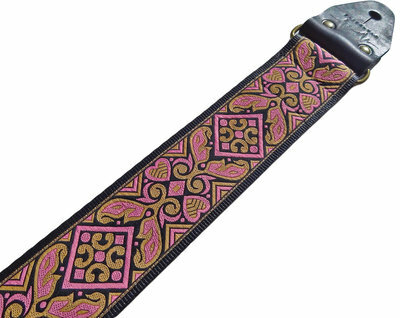 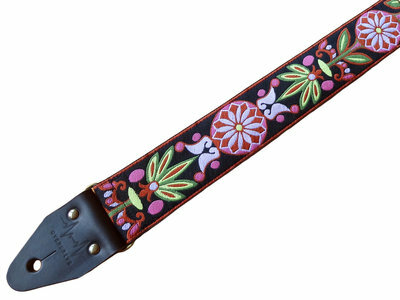 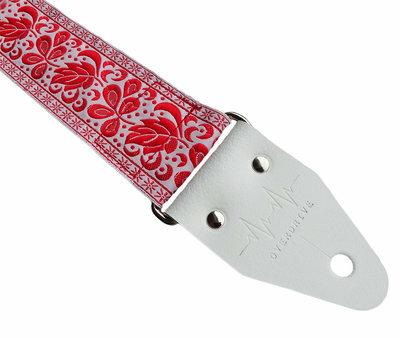 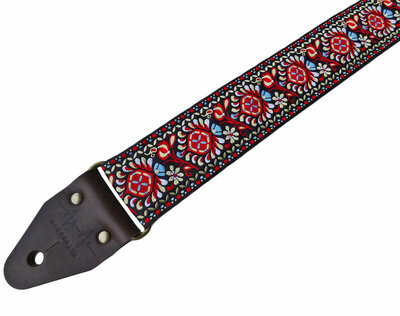 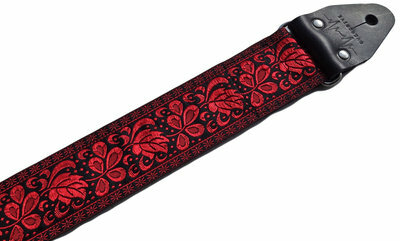 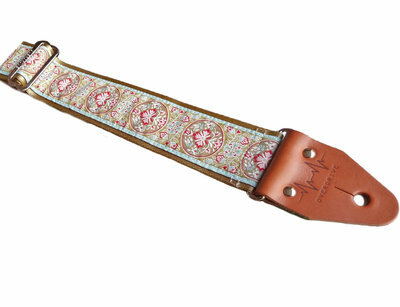 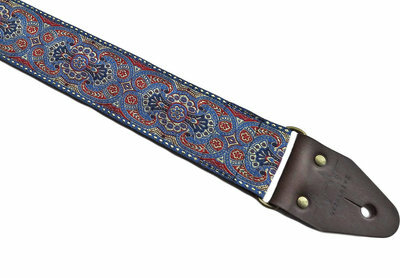 Our "Bohemian" strap has a beautiful a warm tinted fabric. 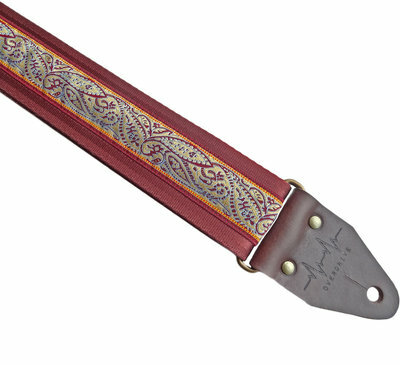 Backed with comfy and classy gold seatbelt. 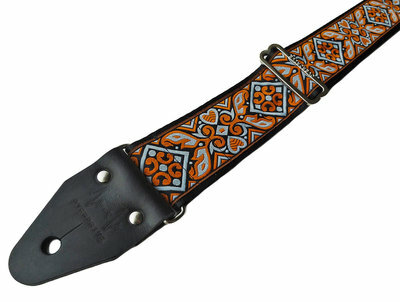 Leather, & hardware colors all optionable, style it to your taste!